Immunohistochemical analysis of paraffin-embedded human liver cancer tissue slide using 66500-1-Ig( TAZ antibody) at dilution of 1:600 (under 10x lens) heat mediated antigen retrieved with Tris-EDTA buffer(pH9). 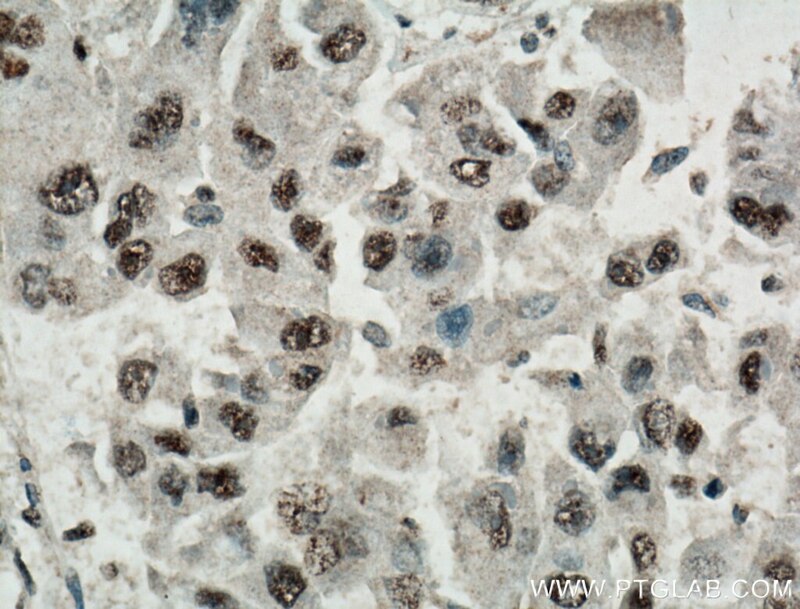 Immunohistochemical analysis of paraffin-embedded human liver cancer tissue slide using 66500-1-Ig( TAZ antibody) at dilution of 1:600 (under 40x lens) heat mediated antigen retrieved with Tris-EDTA buffer(pH9). 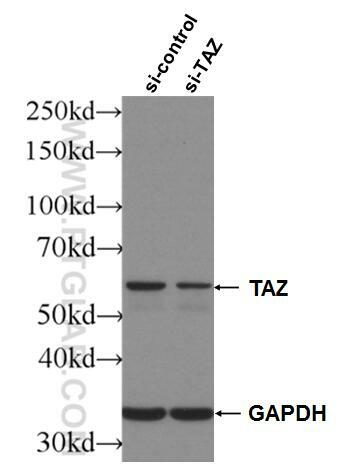 TAZ, also referred as WWTR1, is a transcriptional co-activator with a PDZ-binding motif that is regulated by its interaction with 14-3-3 protein. 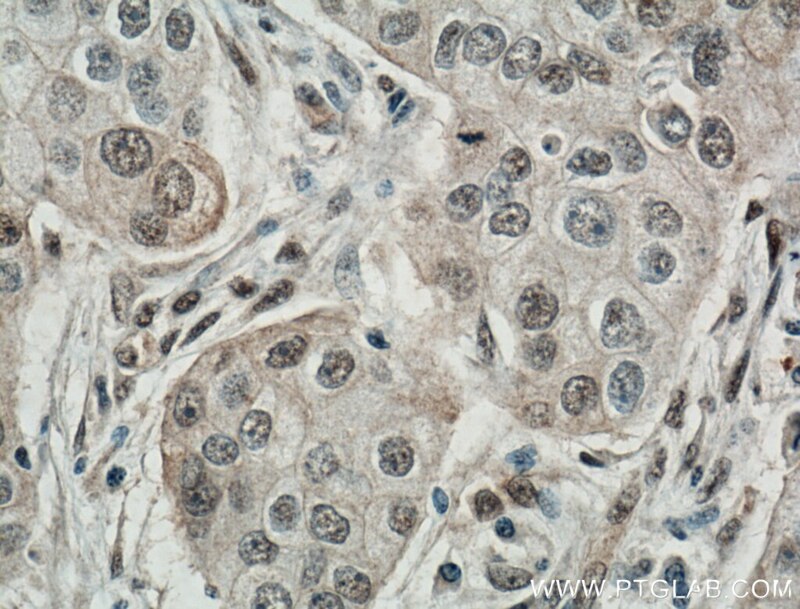 TAZ is expressed in many primary tumors, such as breast cancer, thyroid carcinoma, colorectal cancer, and glioma. 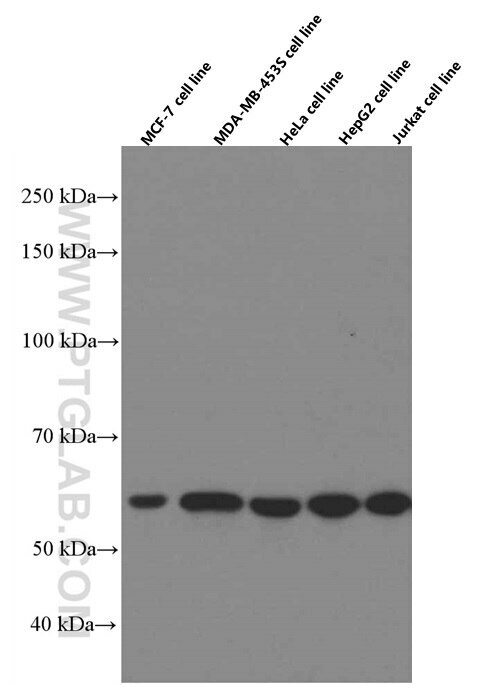 TAZ has been reported to be one of the nuclear effectors of Hippo-related pathways that regulate organ size control, cancer stem cell (CSC) properties, and epithelial–mesenchymal transition (EMT). TAZ has been defined for its role in the nucleus, where it functions directly as a transcriptional regulator by interacting with several nuclear factors as Runx2/Cbfa1, NHERF-2, TEF-1, TBX5, PAX3, PAX8 and TTF-1. 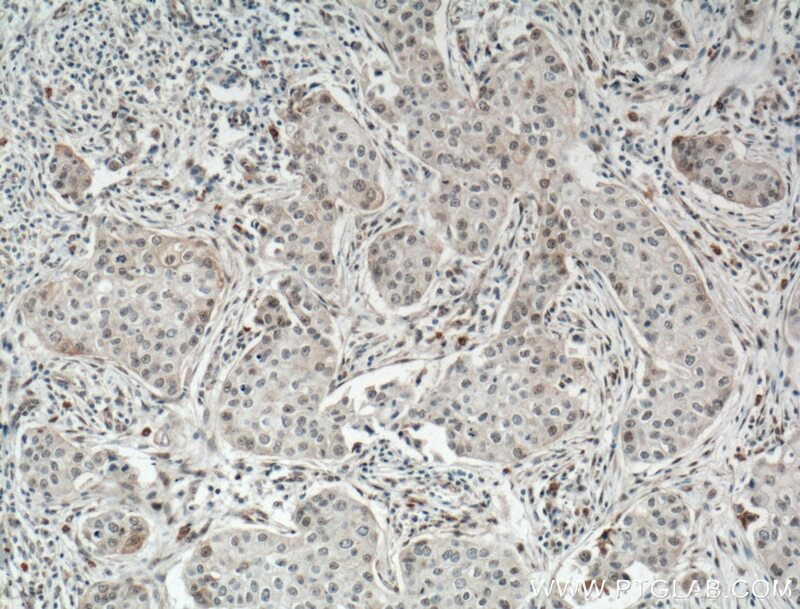 Immunohistochemical analysis of paraffin-embedded human breast cancer tissue slide using 66500-1-Ig( TAZ antibody) at dilution of 1:600 (under 10x lens) heat mediated antigen retrieved with Tris-EDTA buffer(pH9). 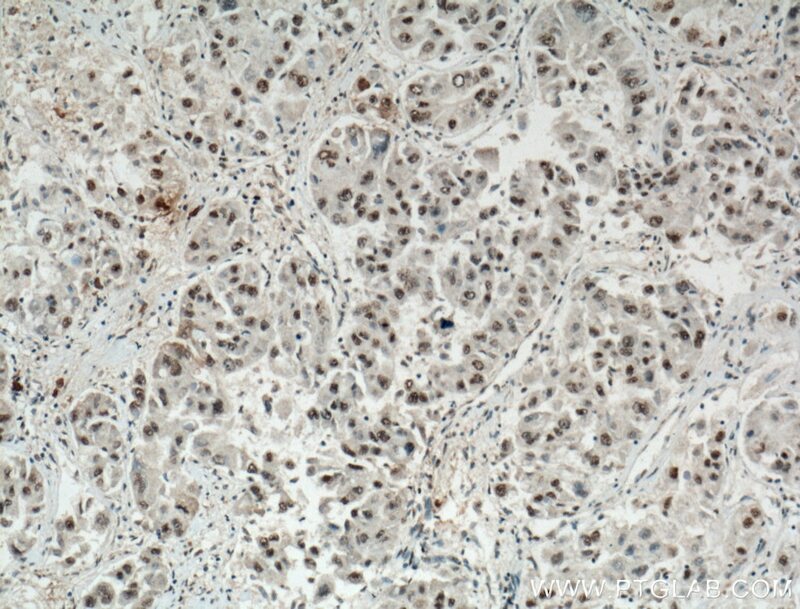 Immunohistochemical analysis of paraffin-embedded human breast cancer tissue slide using 66500-1-Ig( TAZ antibody) at dilution of 1:600 (under 40x lens) heat mediated antigen retrieved with Tris-EDTA buffer(pH9).